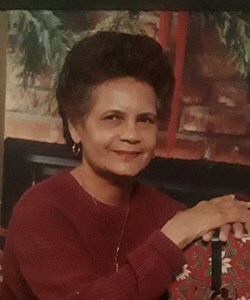 Herminia Crespo, age 82, of Orlando, Florida passed away on Sunday, April 7, 2019 at Advent Health East Orlando. She was the loving wife of Felipe Crespo. Herminia was born on December 26, 1936 in Ponce, Puerto Rico; daughter of the late Luis Mandry and Petra Alicea. Mom was a Jack of all trades. She graduated from CNA courses in Hartford, was a teachers' assistant at Head Start in Hartford CRT programs, and graduated secretarial school in Caguas, Puerto Rico. There are no words that can describe mom in the alphabet, she was more than that; her love, care, and comprehensive way to communicate with you said it all. Her true passion was her love of working with children. She loved her own children dearly, but even more her grandchildren and great grandbabies. We will all miss mom!!!! Besides her husband, Felipe, she is survived by her nine children, Wanda Bones and her husband, Efrain, Jose Rodriguez and his wife, Faye, Juanito Rodriguez and his fiancee, Dee, William Rodriguez and his wife Theresa, Lillian Morales and her husband, Luis, Mirna Rivera and her husband, Carlos, Felix Crespo and his wife Rosa, Estrella Crespo, and Yolanda Gonzalez and her husband, Angel; thirty grandchildren; thirty great-grandchildren; five great great-grandchildren; four sisters; and one brother. Funeral Services will be held on Friday, April 12, 2019 at 1:00 pm at Newcomer Funeral Home - East Orlando Chapel, 895 S. Goldenrod Rd, Orlando, FL 32822. Visitation will be on Friday preceding the service from 10:00 am until 1:00 pm. To share your memories of Herminia or leave a special condolence message for her family, please click the Share Memories button above. Add your memories to the guest book of Herminia Crespo. Reciba mis condolencias por la pérdida de su ser querido. Las palabras que se encuentran en la palabra de Dios, la Biblia, en Filipenses capítulo 4 versículos 6 y 7 han sido una fuente de consuelo para mi y espero que sean un consuelo para ustedes también. Que nuestro Dios les dé la fortaleza y la paz para enfrentar los días venideros; con la esperanza segura de que podrán volver a ver a su ser querido (lea Juan 5:28-29).